This may seem like a no brainer to some of you. Some of you this will be new material. Take it into careful consideration. 3 Words. Key Performance Indicators. KPIs. 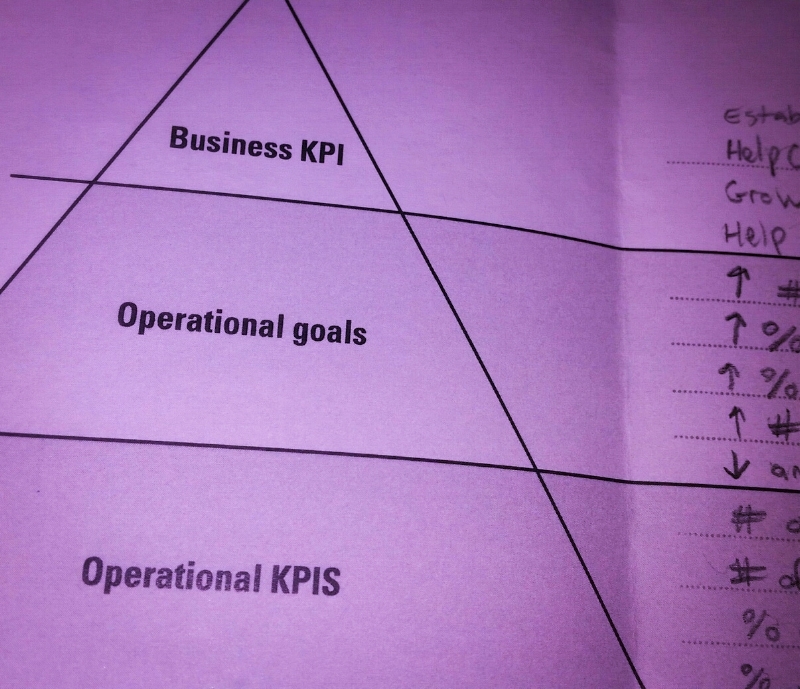 Key Performance Indicators help you figure out if you're doing things right or not. They can be broad or narrow. In fact, at the higher level, they will seem broad, while at the ground level they tend to be very specific. This isn't always the rule, mind you. The point is to be able track if you are successful or not and what you need to increase/decrease/add/ subtract to get to where you want to be. Examples of broad KPIs might be better performing businesses, customer satisfaction, or simply a noticeable impact on the bottom line. More specific KPIs would be your operational metrics, like how often you have to be on-site, % increase in sales, or the # of positive customer interactions. By determining these, you can make more informed decisions. Sometimes there are important numbers you have no idea about that can help affect your budget. Consider the importance of speaking with all your crews and learn what they think, say, feel, and do. This will give you insights to determine what you might have missed. Just keep in mind that KPI's are a tool, not a rule. I've worked at places that simply stayed high level with their measurements and was active to include their community. While they did grow, it was slow growth without focus. Another company I worked for in the past would not consult their ground crews in regards to the numbers and found a lot of headbutting throughout the organization that could have been prevented. Hey, if you are slacking on that in return for other important items, considertaking a few minutes this week and write out what you should be measuring for the current business project your working on in regards to your goal and strategy.